Home / News / Book Week at Burdett-Coutts! World Book Day takes place annually to celebrate the joy and value of books and reading, especially for children. At Burdett-Coutts, we marked this special day with an entire Book Week running from Monday 29th February to Friday 4th March 2016. D.E.A.R. (Drop Everything and Read) time is designed to remind everyone to make reading a priority activity in their lives. Author Beverly Cleary first wrote about D.E.A.R. in her much-loved book Ramona Quimby, Age 8 and we celebrated it throughout this week by inviting children to stop their lessons to Drop Everything And Read! Our whole school book study on The Journey Home by Frann Preston-Gannon also got us thinking about some critical conversation issues. Frann was the winner of an amazing Sendak Fellowship and spent a month living with the great Maurice Sendak himself at his home in USA. While there, she worked on The Journey Home during her stay. Shortlisted for the Waterstones Children’s Book Prize 2013 , Junior Magazine Design Awards (best Picture Book and Best New Talent categories) and the Cambridgeshire Picture Book Award 2013, this beautifully illustrated story has a powerful message of conservation and is full of things for parents and children to talk about. Let’s hope that we can all take action and ensure these animals don’t become extinct; but as the dodo says, “let’s see what tomorrow brings”. Reading the book also inspired fabulous art and writing across the school. When author Steve Anthony came to school to share some of his books, The Queen’s Hat and Please Mr Panda, he spoke about how he found out he was red-green colour-blind around the age of seven. Even so, this has never deterred him from using colour in his artwork and illustrations. His 2014 debut, The Queen’s Hat, won the Oscar’s First Book Prize, and was shortlisted for the Waterstones Children’s Book Prize. His visit was utterly inspiring for all the children! 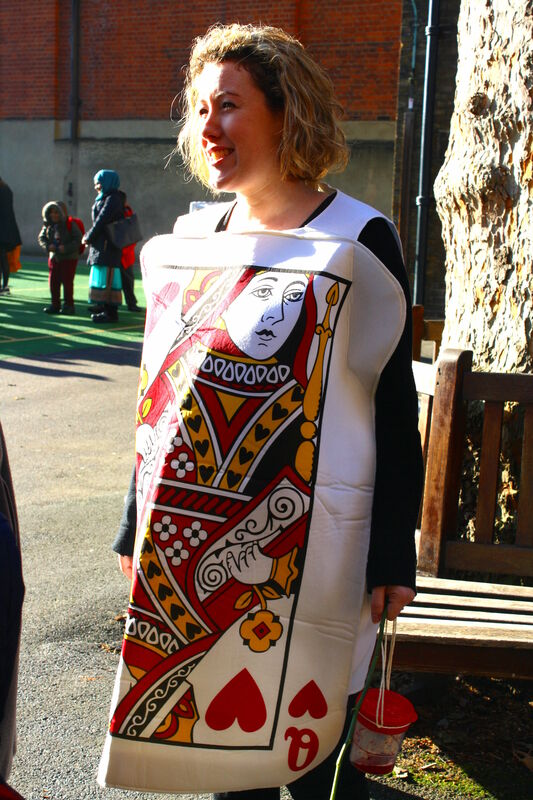 In commemoration of World Book Day, staff and children came to school dressed in their favourite book characters. There were many princes and princesses, all manner of fantastical beasts and animals, heroic knights and fearsome dragons, Victorian characters, superhero characters, various characters from Hogwarts School of Witchcraft and Wizardry, a Mr Bump, Burglar Bill and even several Dr Suess characters! It was such a fun filled and inspiring day! Thank you so much to all those who made such an effort with their costumes and to everyone else who helped out and visited. Thank you also to Miss Karen and Miss Polly for running the Book Fair which is a fantastic opportunity to buy books whilst raising funds for the school to buy even more books! 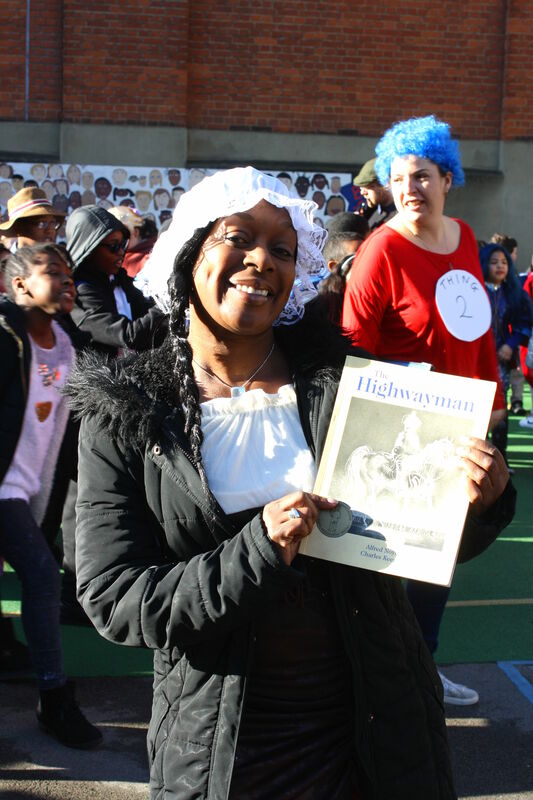 Thank you also to the governors and parents who came in to read with the children and to share some of their favourite childhood books like The Just So Stories by Rudyard Kipling, Black Beauty by Anna Sewell and many more. Ps: What better way to finish off our celebration of books than a trip to Waterstones? On Wednesday of this week, School Council were able to buy new books for the school using a gift card generously provided by Waterstones!